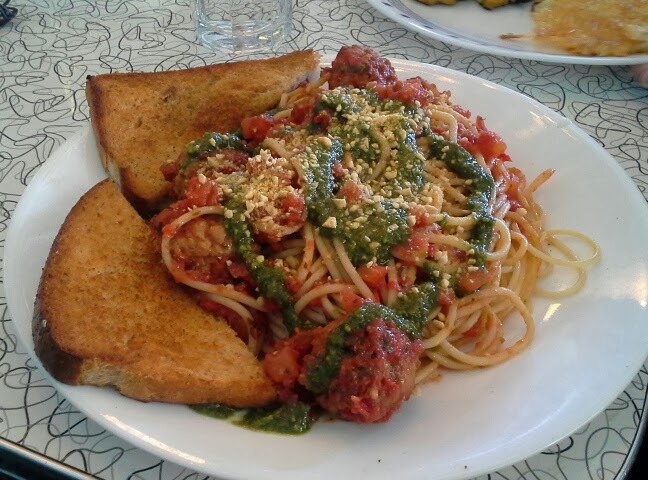 I have been in the Dallas area a couple of times, and I visited Spiral Diner (Dallas location) on the recommendation of my sister (not a vegan). 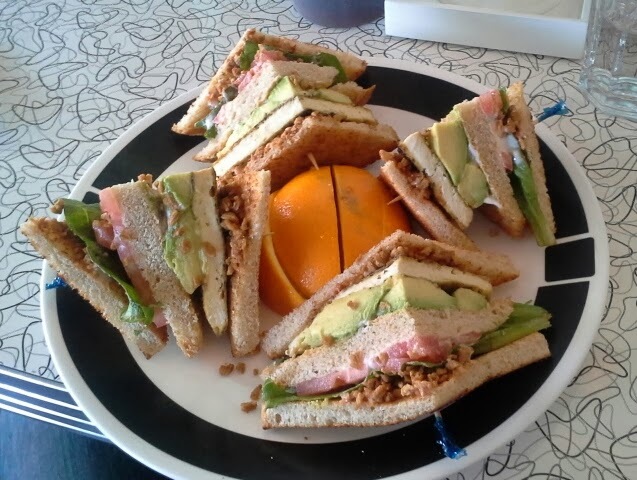 I was delighted to discover that it was an all-vegan restaurant with a fun, retro atmosphere and included a small vegan-themed shop as well. It definitely makes the drive from Austin more enjoyable if you know there's tasty vegan food waiting for you! 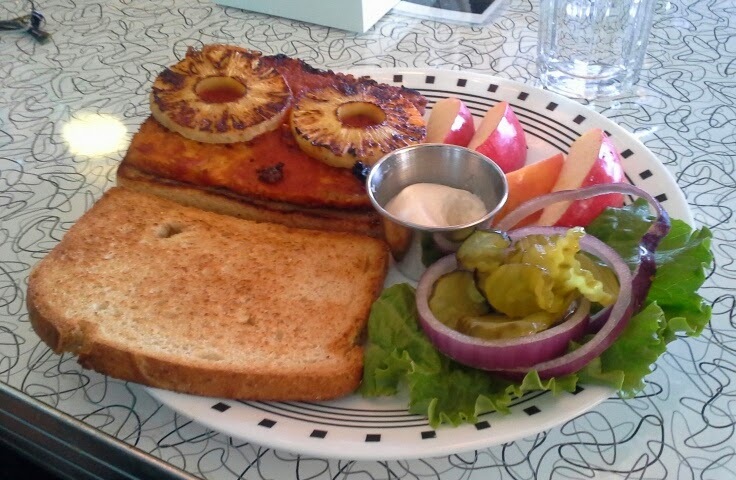 Spiral Diner offers a variety of foods, ranging from the comfort (vegan-style) to the raw/super healthy. If you are dining with vegans, vegetarians, or other open-minded people, there is plenty to eat. Foods came presented well, but it still had a more "casual" diner feel. The restaurant has tended to be busy when we visited, but not overly so. I love how there are baked goods and desserts as well - but you'll probably have to take leftovers home if you want to eat dessert as well. The portions are generous. There is also a small store as well, which has some vegan specialty items such as shirts and foods. Some of the foods were more niche items, and it's also nice to show off some of them to non-vegan friends. I was really glad to see that the Dallas/Ft. Worth community supports an establishment like this--this is Texas, after all! If you're in the Dallas area, I highly recommend stopping at Spiral Diner for a tasty vegan meal.